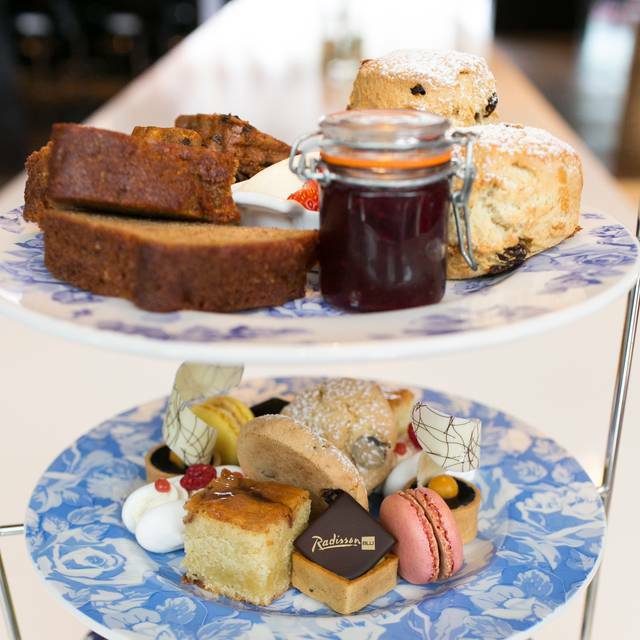 Welcome to Afternoon Tea at Radisson Blu, we look forward to serving you. It was mediocre. I felt the food could have been better, and the restaurant was not what I was expecting. We were placed near the hotel lobby and it just felt strange. There were raisins in some of the pastries (not a fan of raisins). I’m a vegetarian and there was only one sandwich option for me (egg). The service was good though. Probably would try a different place next time. Actuallythe venue team (Radisson Blu’s restaurant) didn’t have our booking confirmed and weren’t prepared at all to receive us. They handled the situation quite professionally though. I guess OpenTable needs to work better on that part. Overall I really enjoyed the afternoon tea in the Radisson. However, I booked through Open Table and unfortunately when I arrived I was told I had no reservation. A lovely female worker made it her business to find out exactly what was going on (I feel Open Table hadn't been checked for that day and therefore the reservation was not put into their reservations). Once everything was clarified- we were treated so well with such a high level of service. Everything from the food, prosecco, tea/ coffee was lovely. My partner was awkward with his requests asking for things that were not a part of the fixed menu and they obliged him without any issues. The hotel was extremely busy and there was a private party taking place near us- however, all staff members were on top form and served our table with impressive timing and professionalism. I was very impressed with all of the staff and obviously the only critique was- they need to check their Open Table reservations everyday.